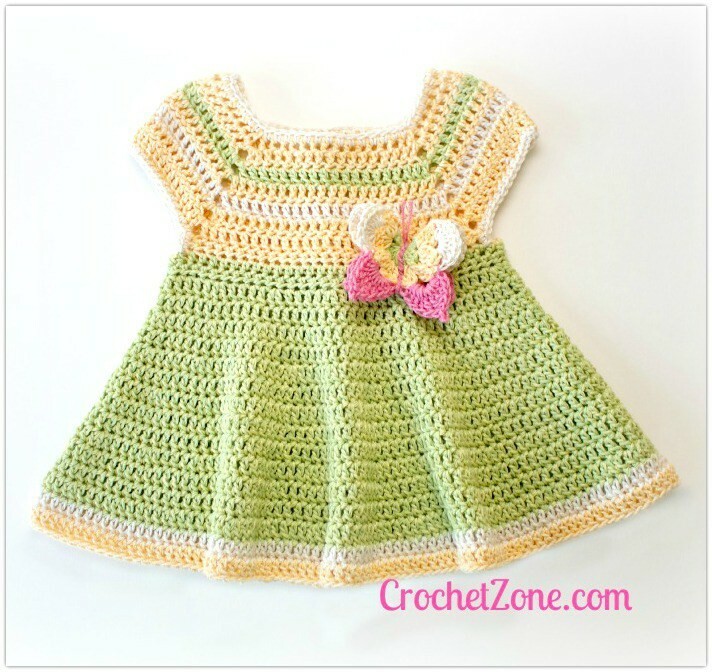 Homepage » Crochet For Baby & Children » [Free Pattern] This Little Dress With The Butterfly Applique Is Just Darling! I love this little dress accessorized with a butterfly! What an easy and flexible pattern! This gorgeous Butterfly Kisses Baby Dress by MA Santos with a two button back closure for easy dressing is perfect to welcome any new baby girl in your life. This little dress is worked from the top down. 4 Comments to [Free Pattern] This Little Dress With The Butterfly Applique Is Just Darling!